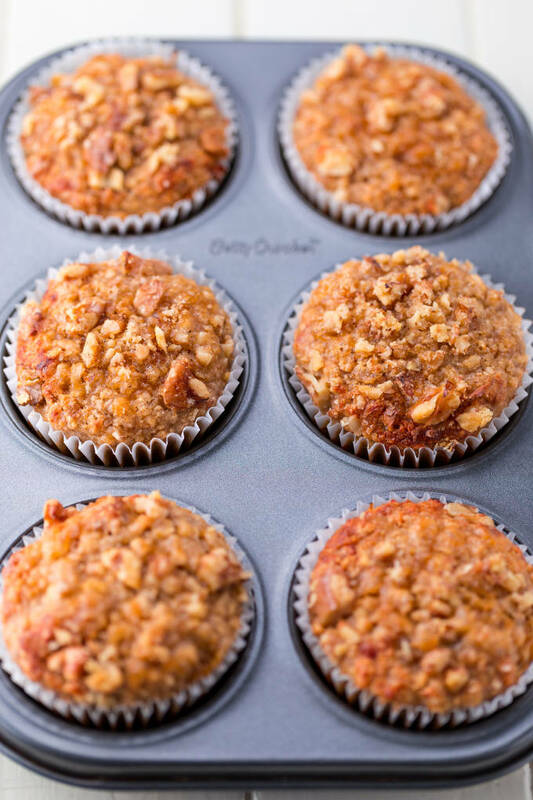 These clean eating banana oat protein muffins are made with nothing but the healthiest ingredients. They are gluten-free, egg-free, sugar-free and flourless. There is even a vegan/dairy-free option available! This easy and healthy snack is perfect as a post-workout treat, lunchbox filler, delicious breakfast or for any time you need a quick protein boost! It’s been quite some time since my last post. Life happened! We had our baby boy James, who is now just over a year old. Then we built our new home and moved in. We just finished unpacking last week. Whew… what a year! But now I am back on track, with lots of exciting new plans for the coming months. For this first post in ages, I’ve decided to make a recipe very similar to my apple protein muffins . That particular recipe received tons of love from you guys so I am confident that this one will make a lot of people happy. 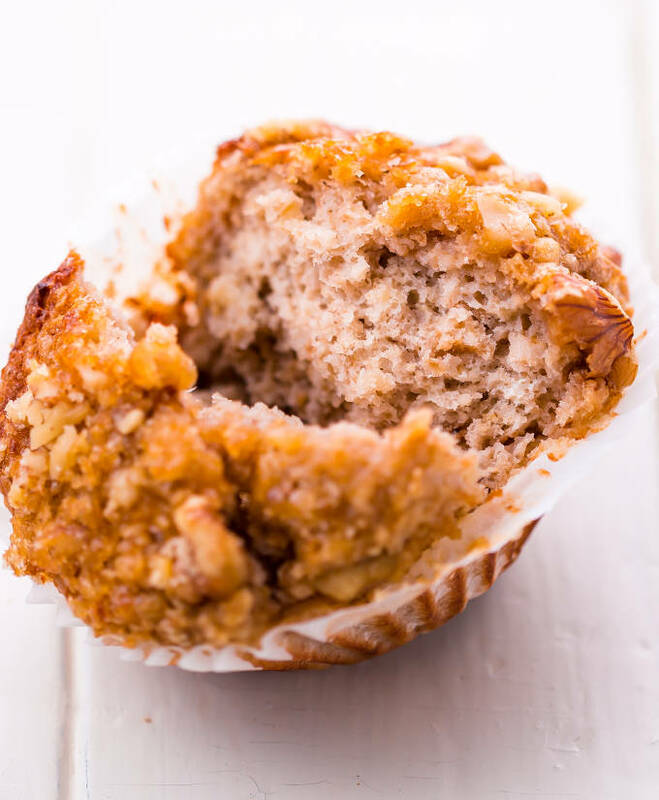 Like my apple protein muffins, these banana oat protein muffins are pretty simple to make. But don’t be fooled though, the mix is pretty damn effective. They pack a lot of flavor for a 100% sugar-free snack. 1. Make your own oat flour. You will start by turning half of the oatmeal into oat flour using a blender or food processor. Don’t worry, it is very simple, see instructions below! 2. Mash those bananas! Again very simple. Mash those 3 bananas using a fork. Alternatively, you could pulse them in a blender or use a hand mixer. 3. Combine all the dry ingredients, stir well. Mix the oatmeal (both ground and whole), protein powder, baking powder, and ground walnuts together. 4. Melt Coconut oil. Over low heat, please! And make sure it does not get hot as you will burn the other ingredients. 5. Whisk the wet ingredients together. Make sure the mashed banana, milk and coconut oil are stirred well. 6. Mix the dry and wet ingredients together. Gradually incorporate the wet ingredients into the dry ingredients. Stir until smooth. 7. Lay a 12-muffin tin with paper muffin cups. 8. Pour the batter evenly between the 12-muffin cups. The recipe should make between 10 and 12 muffins. 9. Bake until golden brown. Or until a toothpick inserted in the center comes out clean. 10. Remove the muffin tray from the oven. Place the muffins on a rack to cool down. Chocolate Chips. 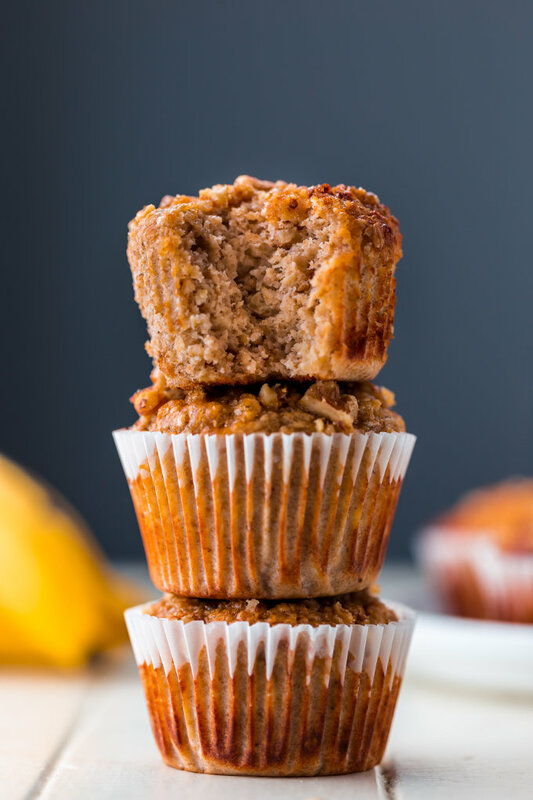 Add a handful to give these muffins a banana bread flavor! Fruit purée. Replace the mashed banana with any type of fruit purée to change the flavor profile entirely! Share your ideas. Post a comment in the comments section below! 1. Are banana muffins healthy? The not so short answer is… it depends. The choice of ingredients is what really matters here. Often times, muffins are made with high amounts of unhealthy processed fats, sugars and flour. They become more akin to cake than anything else, really. On the other hand, when these traditional unhealthy ingredients are replaced with food purées and/or reasonable amounts of healthy fats like coconut oil, they become the perfect healthy snack or breakfast! 2. Can banana muffins be frozen? Absolutely! In fact, having a bunch of those frozen in a freezer bag or container is a brilliant idea. Simply thaw them overnight or in the microwave or oven when needed. They can be kept frozen in a sealed container for up to three months. 3. How do you make banana muffins without eggs? Eggs can be replaced by mashed fruit, healthy fats, yogurt or even silken tofu in most baking recipes! Generally, 1 egg = 1/4 cup of your substitute of choice. For this particular recipe, eggs were skipped entirely for maximum banana flavor! 4. 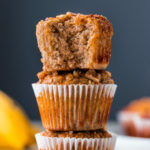 How do I store my banana muffins so they stay fresh as long as possible? I found that the best possible way to store muffins is to place a large piece of paper towel or dry cloth on the bottom of a sealable container, place the muffins on top of the towel, wrap them in the cloth/towel then seal the container. This way, the piece of towel/cloth will absorb any additional moisture coming out of the muffins and prevent them from turning bad quickly. The sealed container, on the other hand, will make sure your muffins don’t become dry in a matter of hours. 5. Got a question? Please ask away in the comments section below! 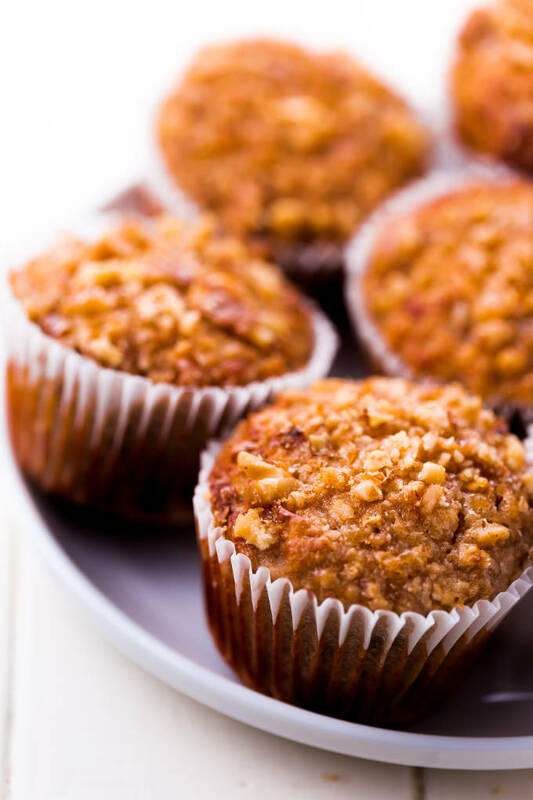 Super healthy, gluten-free, flourless and refined sugar-free, these protein-packed delicious muffins are all you need for a quick snack or breakfast. 1 cup milk of choice Use any type of milk compatible with your personal diet. Unflavored is best. Line a 12-muffin pan with muffin cups or grease the muffin tins with a little fat. First, start by making your own oatmeal flour. Using a blender, turn 1 cup rolled oats into flour. Process for about 45 seconds. Combine the oatmeal flour, additional 1 cup rolled oats, protein powder, baking powder, ground walnuts and cinnamon in a large mixing bowl, stir well. Melt coconut oil over low heat in a medium saucepan. Caution: do not overheat the oil as you will burn the other ingredients. Remove from heat. Add the mashed banana and the milk to the saucepan. Whisk until evenly combined. Gradually add the liquid mixture into the dry ingredients. Stir until just combined, don't overdo it. Pour the mixture evenly into the muffin tins. Optional: Sprinkle some coconut sugar and some more ground walnuts on top of each muffin. Transfer to the oven and bake for 20-25 minutes or until a toothpick inserted in the center comes out clean. Note: My batch was ready in 25 minutes. Baking time will vary for every oven. Nutrition facts were calculated for the whey version only. Is the coconut oil measured as a solid or is it measured in the liquid state? The amount of coconut oil needed for this recipe was measured in its solid state. Whey is not vegan, it is a dairy derivative. It is lactose-free, but still a dairy product. Please don’t post this as vegan when that is not the case. Thank you. If you take the time to read the recipe, you will notice that there is a “Plant-Based Alternative” version in the ingredients section, which uses plant-based protein powder (VEGA). It took me an extra day of work to develop this version, along with buying all of the expensive ingredients required to make this recipe, in order to accommodate the vegan crowd (who I deeply respect). And I will add this: All of these recipes on my blog, I give them away, for free. They are sooooo good ! Thank you so much for creative recipes! Using those muffins after workouts – clean an guilt free:)! So happy you like them! I put a great deal of effort into my recipes so knowing that they are appreciated means a lot! Quick question, what do you use to calculate the nutrition value ? I use a function within my recipe plugin to calculate the nutrition information. A lot of blogs use the same app.